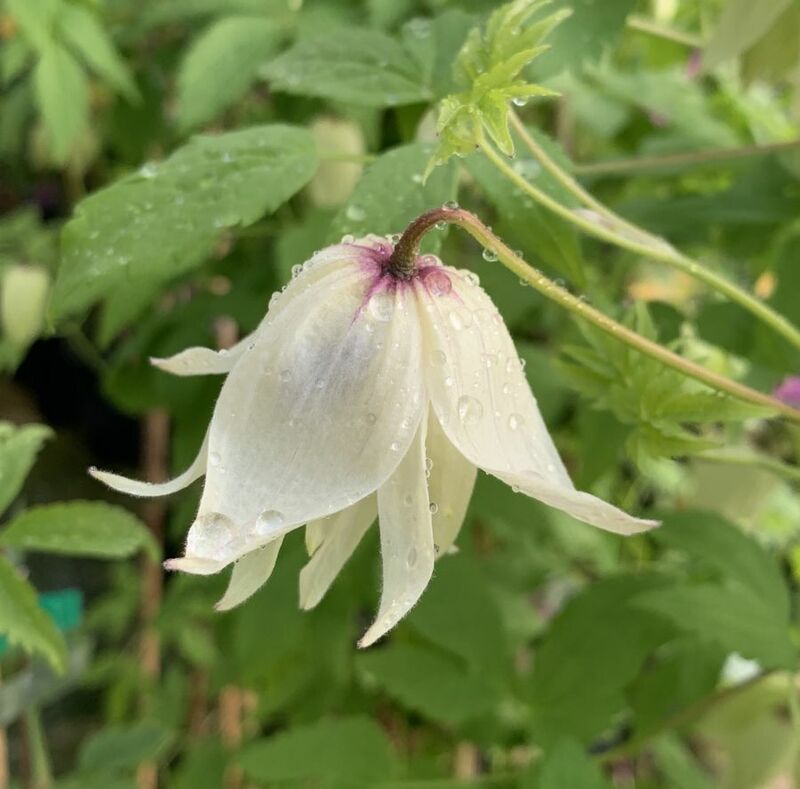 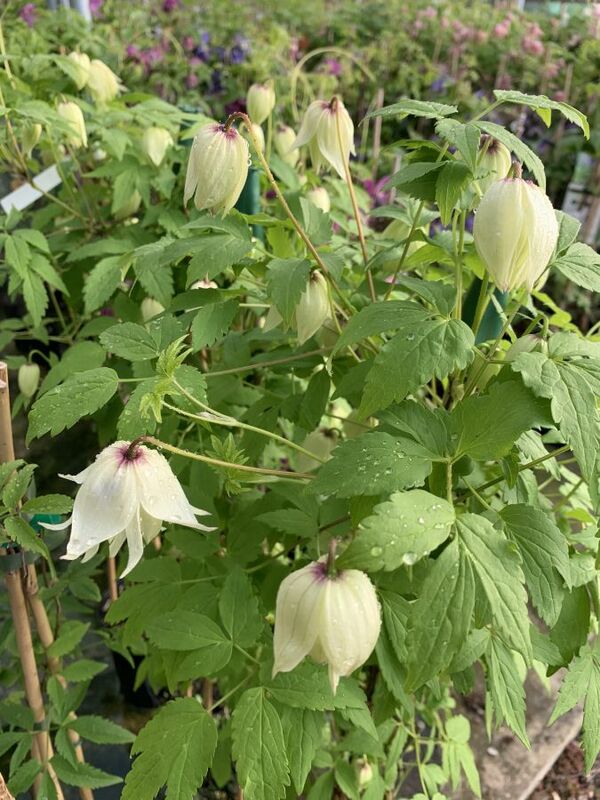 Clematis Alpina Albiflora has creamy White nodding flowers 2" long. The Alpina family are a very tough species they are quite happy growing in any weather conditions infact they thrive in the extremes ( -45 degrees C and gale force winds) Alpina's don't require any pruning,can be grown in the ground or in pots and when they finish flowering have Great seed heads. 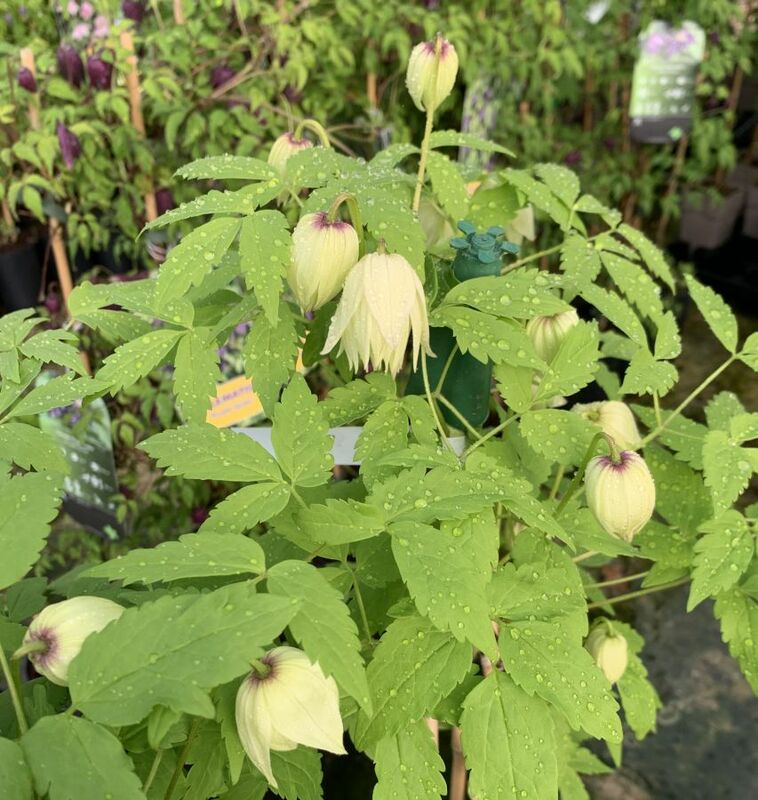 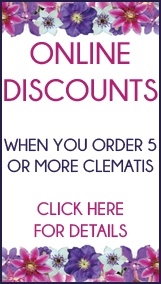 Clematis Albiflora grows around 6 to 8 feet in height and flowers from mid march to may.